Tims Boots is based in El Paso Texas and was founded by Tim Urling in 2002. 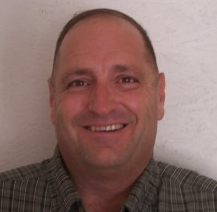 Tim has more than 30 years of business experience and is dedicated to complete satisfaction for each customer. Tim’s acquaintance & friendship with several top Cowboy Boot makers assures you the highest quality craftsmanship available. It is our goal to develop an ongoing relationship that will last for years to come! We want to earn you business and be your supplier for all your Cowboy Boots and leather needs, whether it is for custom hand made Cowboy boots or western belts. We are located in the west Texas town of El Paso, Cowboy Boot Capital of the World! Such famous Cowboy boot makers as Tony Lama, Justin, Lucchese, Cowtown, T.O. Stanley, Black Jack, J.B. Hill, Stallion, Champion, Rocketbuster and many more call El Paso home. Chances are if you have a pair of quality cowboy boots, they were made right here in El Paso! We have contacts with many of these cowboy boot makers and other smaller shops as well. If you don't see exactly the cowboy boots you want on our site, please contact us and we will do our best to get whatever cowboy boots you want at a fair price. Exotic Cowboy Boots are our specialty. We have many designs and colors of Alligator Boots, Ostrich Boots, Stingray Boots, Snake Boots, Python Boots, Shark Boots, Caiman Boots, Hippo Boots, Lizard Boots, Elephant Boots, as well as Cowboy Boots in traditional smooth or rough-out leathers. Most of our Cowboy boots are available in Men’s or Ladies Cowboy boot sizes. Our featured brands of Cowboy boots are Black Jack Boots, Star Boots, Cowtown Boots and Los Altos Boots. Please let us know if you have any questions or suggestions regarding any aspect of the site or for cowboy boots in general. We will do everything possible to ensure that your experience with TimsBoots.com will be pleasant and most of all . . . we wish you the best as you plan your next cowboy boot purchase!